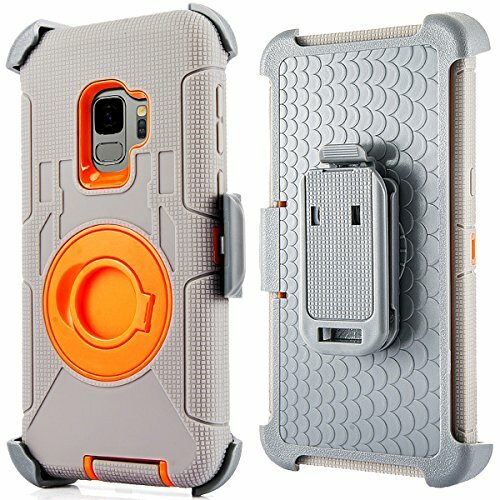 This is a rugged S9 PLUS case made from 4 layers of PC + silicon scratch and shock protection wherever you go. A belt clip and holster combo for carry convenience, and a 360 rotating kickstand for flexible phone viewing pleasure. Raised lip protection for protecting display screen from flat surface, keeping your iPhone screen clean and scratch-free. Designed for Samsung Galaxy S9 PLUS cellphone, Not for S9. It is compatible with wireless charging. If you have any questions about this product by PlusMall, contact us by completing and submitting the form below. If you are looking for a specif part number, please include it with your message.